The Bollinger County Circuit Court and Recorder of Deeds are right next door to each other in the Bollinger County Courthouse, at 204 High St; the Circuit Court office is in Suite 6, while the Recorder's office is next in Suite 7. The offices maintain property, marriage, and divorce records for the county, as well as providing copies to those who apply and qualify. 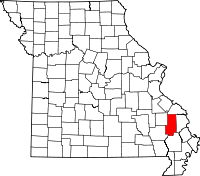 To research records from Bollinger County, as well as all other counties in the state, the office of the Missouri Secretary of State operates the State Archives which has a plethora of records dated from the last 200 years. Death certificates at the Archives are listed from 1910 to 1961. Census records stretch for 100 years, from 1830 to 1930. Under the Digital Heritage wing, a large number of records and historical documents are provided online, including a comprehensive Civil War section.